Home Run Event for Girl Scouts 100 in Maryland! 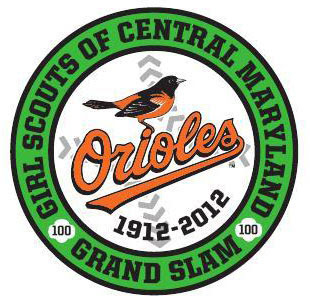 Girl Scouts of Central Maryland are going to celebrate 100 years of Girl Scouting at the Camden Yards this weekend! In true Girl Scout form, there will be plenty of fun and prizes for all who attend. Try to make a world record for the most Girl Scouts at a professional sporting event. Join in fun Girl Scout activities and programs. Munch on green cotton candy. March in a parade on the field. There will be plenty of fun for adults too, including alumni activities, raffles and more. Single tickets are available through the Orioles Box office.